In an era where an organizations web address precedes its physical address, website is the most effective way to ensure that your clients find you. With this in mind XWebSEO’s Web Design wing combines creative zeal, fresh ideas with latest design tools to create websites with an edge. Encompassing a wide spectrum of services, the full service agency offers turnkey solutions that include Branding and Website Design & Development. 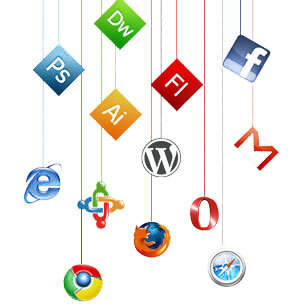 XWebSEO’s branding experts help create a visual identity of a product / service and the organization on the whole. Combining the values, mission & vision of the organization we draw up a pallet of ideas to select from. We help create brands that leave an everlasting impression on a consumer, hence establishing visibility and trust. Along with our standard products that carry a very competitive price tag, we always welcome any custom requirements from our clients. XWebSEO specializes in crafting websites that are fresh, innovative, functional and in line with current web trends, to help give on online identity to your business, which is the easiest and most effective marketing tool in todays web dominated marketplace. We offer custom designs, ensuring every Website design that comes out of our studio is absolutely original and fresh. Our process that starts from an elaborate discussion with the clients regarding their business, vision and ideas continues with in depth research by our team to find the latest trends in the vertical along with the competition and finally creating a site that is truly inspiring and puts our clients business right on the map. We have designed and developed over 200 websites for clients across business verticals globally, and would be delighted to have you on board as our preferred client.